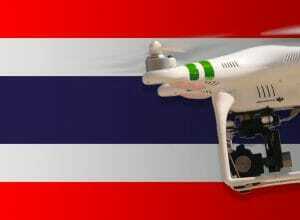 If drone is less than 2kg you do not need to register and you do not need insurance, but there is still rules that you have yo follow for start in bangkok no fly zone 19km radios from the king palace . It’s possible that they blocks drone signal? Because when I turn on phantom 3 advanced it connects to transmitter and after few seconds disconnecting. I have same issue every time I try to operate it. Not likely- depends on where you are? I know there are a few places in Bangkok that is restricted by signal. I have tried to launch at a few places and am unable to connect due to some blocking device. Within 3 months I have prepared a 2 month trip through Southeast Asia, my port of entry is Bangkok, where I spent 4 days before flying to Laos. I would like to know if there is any kind of problem to enter Bangkok with the drone, and if I need a requirement that is met despite not wanting to fly it in Thailand. Thank you very much for the information!